Rose Quartz is known for its ability to open hearts and encourage loving feelings. 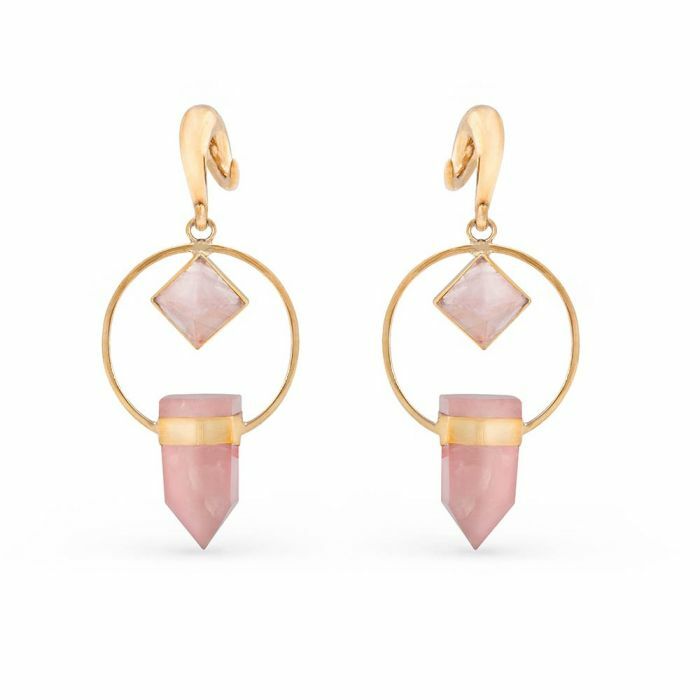 These 0g Rose Quartz Spiral Plug Earrings are made of polished brass. They feature two rose quartz pendants. One is pyramid-shaped, measuring approximately 19.5mm all around. The other is a wand pendant, measuring approximately 36.8mm long by 19.4mm wide. Both the pendant and pyramid are attached to a 44mm brass-cast circle. These earrings are sold as a pair.